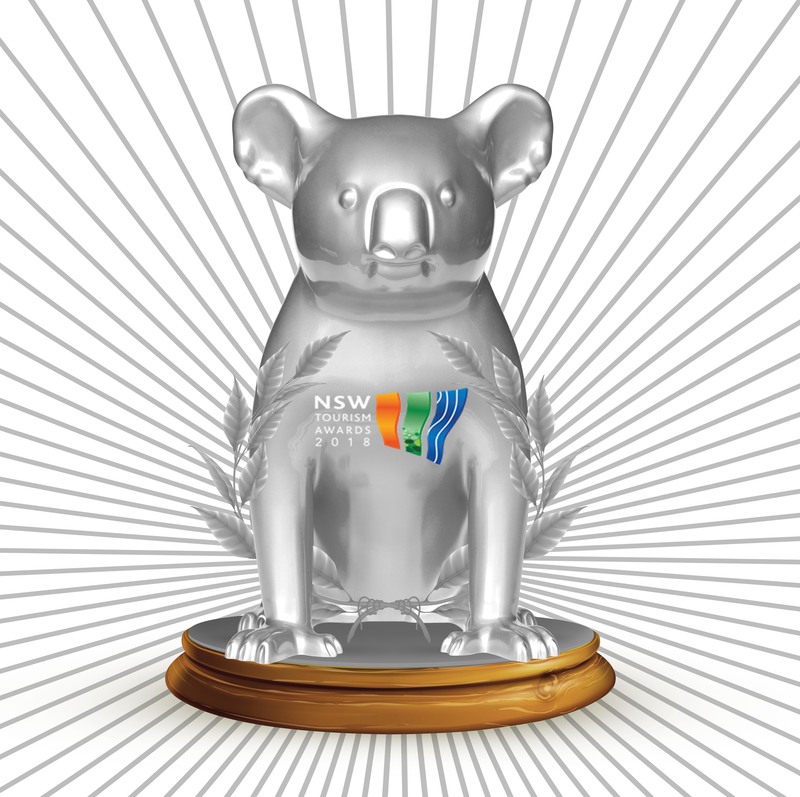 EVERYONE, including NSW Tourism, loves Port Macquarie’s Hello Koalas Sculpture Trail which last night won Silver for Cultural Tourism at the 2018 NSW Tourism Awards. 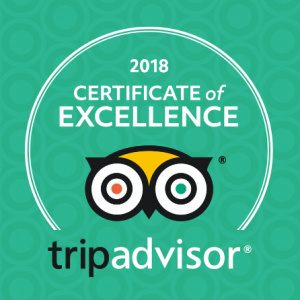 Hello Koalas was also a finalist in the Tourist Attractions category. Project director Margret Meagher said she was delighted to gain the recognition for Port Macquarie, saying “we live in paradise”. She said it was also important acknowledgement for the business sponsors of the Hello Koalas Sculpture Trail and the talented artists involved in creating each unique koala on the growing trail. “It’s their backing and creativity which allow us to create this really strong message about koala conservation,” Ms Meagher said. The Hello Koalas Sculpture Trail currently comprises 62 one-metre high individually designed and handpainted koala characters dotted across the region, encouraging people to explore. Three more koalas are about to be revealed this summer. An online store has also been prepared in time for Christmas, with high-quality products including a 2019 calendar, colouring books, T-shirts, tote bags, tea towels, bookmarks, stickers, magnets and other memorabilia. “It’s a great resource for locals and visitors alike, so they can take home a little piece of Port Macquarie and look back on their visit or send a special piece of home to family and friends,” Ms Meagher said. “They will make wonderful gifts for people overseas, because of course everyone loves our iconic Australian koalas, but they are under threat, and this is a great way to help them. The sculpture trail is currently No. 3 of things to do in the region on TripAdvisor, behind only the coastal walk and its great friend, the Port Macquarie Koala Hospital, and has grown to include an annual festival over the June long weekend. Yesterday’s win is not the first win for Hello Koalas, which took home Gold for Cultural Tourism at last year’s presentation, and earlier this year won Gold in the same category in the North Coast Regional Tourism Awards, and Silver as one of the region’s leading tourist attractions. Lady Lola makes the news! Lady Lola will be appearing at the Hello Koalas Festival MamaMia Music and Dance Party. 6.30 June 8th Panthers Port Macquarie. MamaMia – Here we go again! Hello Koalas Festival presents MamaMia Music and Dance Party featuring Sydney’s greatest ABBA tribute band & Port Macquarie Performing Arts ballerinas including Lady Lola performing everyone’s favourite number, “Dancing Queen” – plus lots more. Dress up in your 70s & 80s gear. Costume and dancing prizes up for grabs! Save the date, 6pm Friday 8 June at Panthers. Click here for tickets https://bit.ly/2KVkAhz or call Panthers Club Reception 6580 2300 Hurry before tickets sell out! Announcement of the NSW Government’s $45 million package to protect the state’s threatened koala population is reason to celebrate, and the best place to party is at the Hello Koalas Festival! Held in spectacular Port Macquarie, on the NSW Mid North Coast, this is the world’s first festival dedicated specifically to Australia’s iconic koala, and is full of fun and entertainment for all ages from June 7-11. It is based around the gold medal-winning Hello Koalas Sculpture Trail, which combines art and environmental awareness in the form of 62 one-metre high individually hand-painted and themed koala sculptures, dotted around the beautiful and diverse Port Macquarie region. Will you be able to find them all? This is the festival’s second year, and it promises to be Abba-solutely fabulous, with Lady Lola the Dancing Koala – the newest addition to the Hello Koalas population – crowned its queen. And where would a dancing queen be without an Abba tribute band? 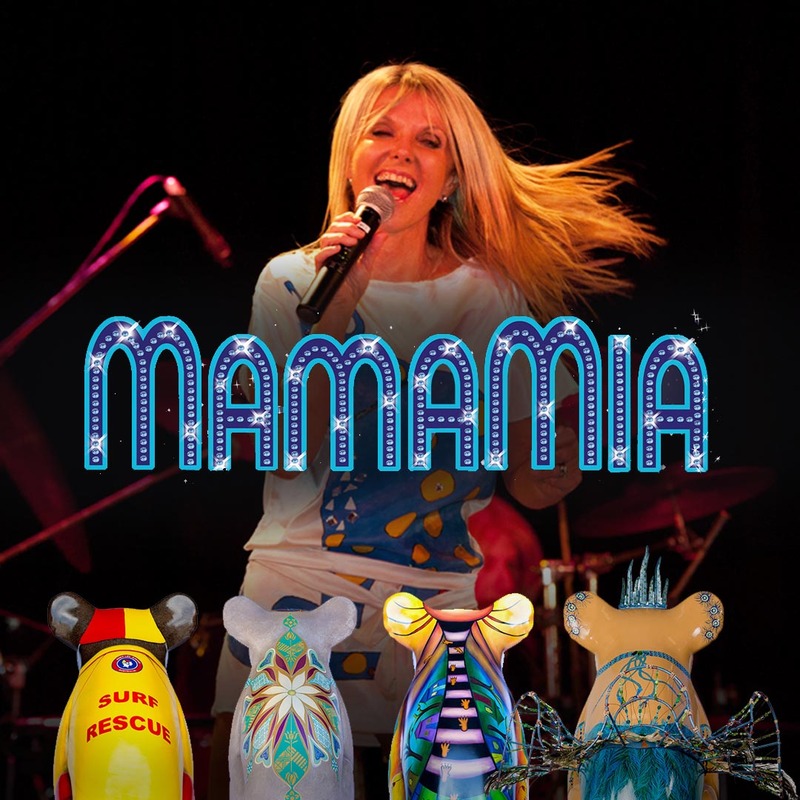 Australia’s premier Abba tribute band MamaMia will perform all your favourites, including Ring Ring, SOS, Money Money Money, and of course Mamma Mia and Dancing Queen. You can really get into the spirit by dressing up in your best ’70s and ’80s gear and enjoying a dance, with prizes to be won. Tickets are now available to the event at Panthers on Friday, June 8. Call (02) 6580 2300 or go to www.portmacquarie.panthers.com.au. In a new event this year, the Hello Koalas Festival Cars and Coffee Meet and Family Fun Picnic will take place at Douglas Vale Historic Homestead and Vineyard on Sunday, June 10 from 8.30am-2.30pm. It’s just $5 to display your unique, colourful or classic car (or bike) with car-is-ma, and gold coin entry to a great day of live music from 9am, Devonshire teas, sausage-sizzle, koala face-painting, arts and crafts, as well as family games presented by NSW National Parks, with proceeds going to the Koala Hospital, Port Macquarie. But that’s just the tip of the Koala Festival tree, with other events including a special koala-focused Foreshore Market on the banks of the Hastings River, Hello Koalas High Teas, a koala picnic, Melbourne City Ballet, Koala Hospital and Landcare farm gate tours, meet the artists and beyond. And for anyone really serious about koala conservation and the environment, the festival kicks off with the Caring for our Koalas and our Environment Conference from June 7-8, with expert speakers covering koala conservation, the latest research, environmental solutions, education programs and the draw of nature-based tourism. It’s all waiting for you in Port Macquarie this June long weekend. For more details go to www.hellokoalas.com/festival, email info@hellokoalas.com, telephone 0416 641 482 or book your place at the Caring for our Koalas conference on Eventbrite. Another festival Highlight! Hello Koalas Festival Cars and Coffee Meet at Douglas Vale Historic Homestead and Vineyard, Sunday 10 June, 2018, 8.30am to 10.30am, Live bands from 9am, Devonshire tea, Sausage Sizzle, Koala face painting, Magicians and more – great family morning! Gold coin donation to display your unique, colourful or classic car with car-is-ma. All proceeds to the Koala Hospital Port Macquarie. Our Hello Koalas Cars and Coffee event has a little twist to all other “cars and coffee mornings”! We love driving our little sports car and catching up with like-minded friends over good coffee but we are always on the lookout for koalas crossing the road to make sure they can live safely in our community. Looking forward to seeing lots of cars with “car-is-ma” too. Ranger Riley on the loose. Hello Koalas Sculpture Trail is the region’s most popular attraction with widespread support from local business, government and community organisations, including the acclaimed Port Macquarie Koala Hospital, Sea Acres Rainforest Centre, the Port Macquarie Museum and many more. 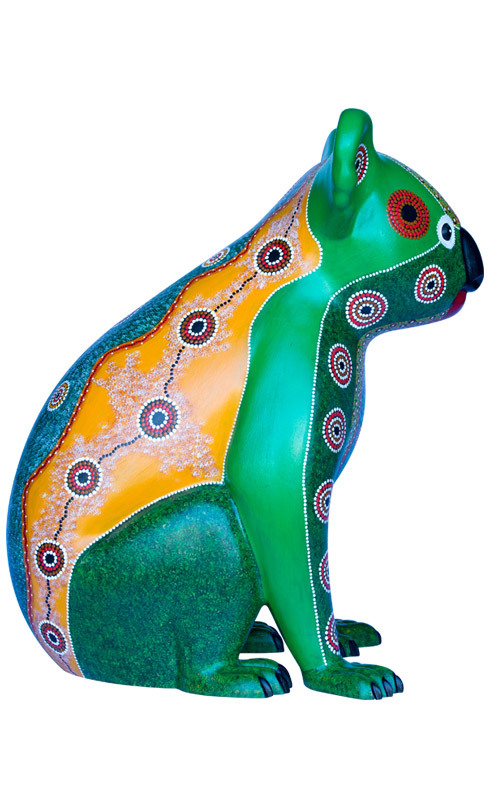 Sixty one metre high koala sculptures, individually designed and hand painted by local artists, dot the Port Macquarie-Hastings landscape from the mountains to the sea to create the Hello Koalas Public Sculpture Trail. You can collect a free Trail Guide from the Glasshouse Visitor Centre and many of the Trail’s sponsors and you can also download a copy of the Trail from our website.